Curriculum shopping can be confusing and expensive. You can design a curriculum for your children which makes the most of your family’s strengths and needs. 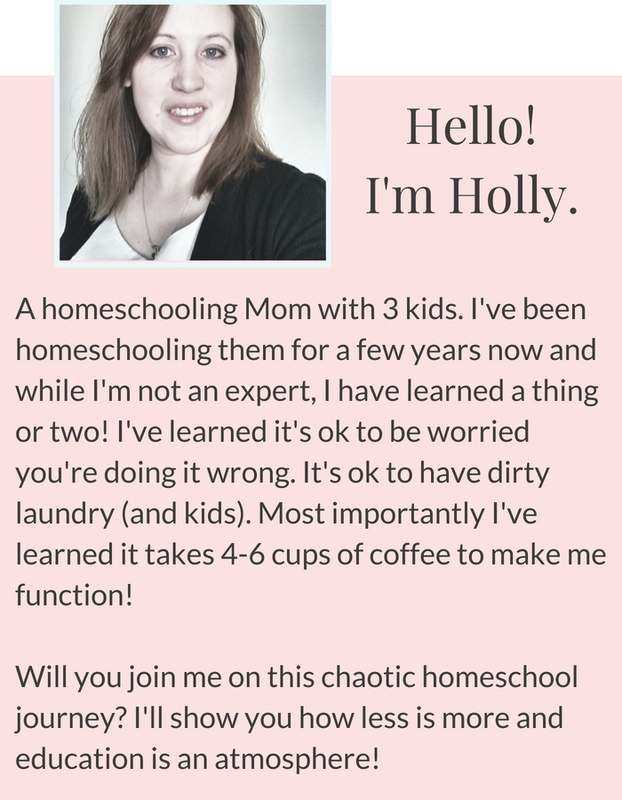 You don’t need to buy a packaged curriculum to homeschool! 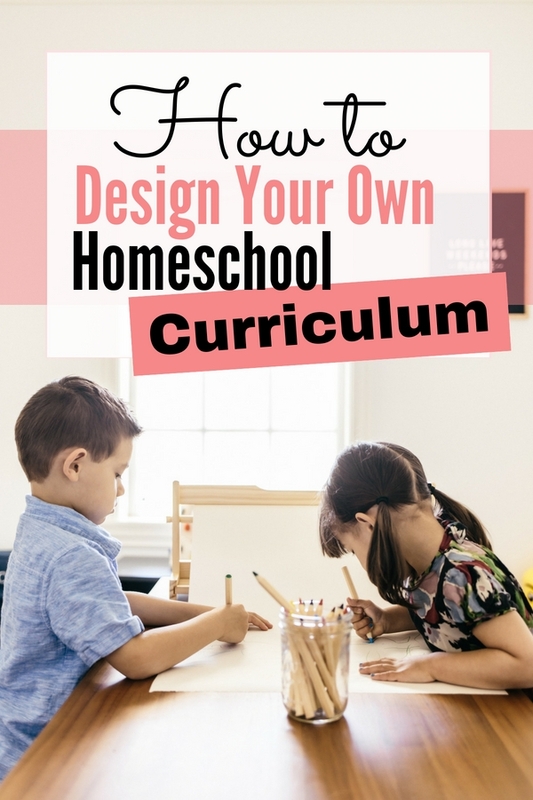 Let me repeat myself here you CAN design your own homeschool curriculum. As homeschooling has become more popular, the homeschool curriculum market has exploded. While this gives homeschooling families more options, it can also cause confusion. The simplest thing to do is to buy a “complete curriculum,” which includes workbooks and lesson plans for all of the subjects a child needs. There are many good companies out there which offer these types of curriculum packages. However, there are some instances in which this type of curriculum may not be the best for your family. Cost is one deterrent for many families. A full year curriculum can cost as much as $1,000- per child! Many homeschooling families are living on a single income so that one spouse is home to teach the children. Families with multiple children incur an even larger expense. Children with learning disabilities, autism or ADHD, or gifted children can be difficult to teach in a classroom. In addition, the child may be functioning at different grade levels in different subjects. So packaged curriculum designed for a certain grade can be hard to use. Most curricula are set up with a 36-week, 5-day schedule, giving you the full 180 days of school that many states require. Having to complete the required work each day can make adding in extra classes, trips, and books difficult. If one of these scenarios fits you, you may be wondering what alternatives you have. One of the most rewarding ways of acquiring curriculum is simply to write your own. This is the perfect way to tailor your children’s educations to best suit them and your family. 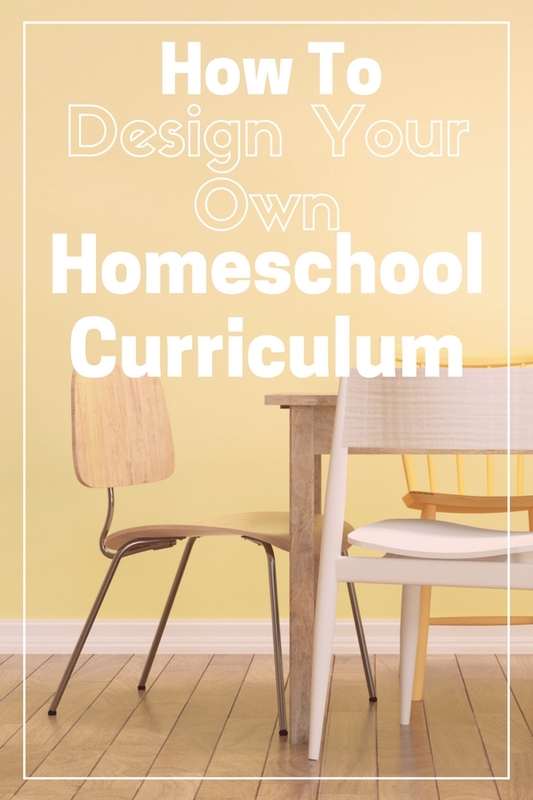 Designing your own homeschool curriculum doesn’t have to be hard! 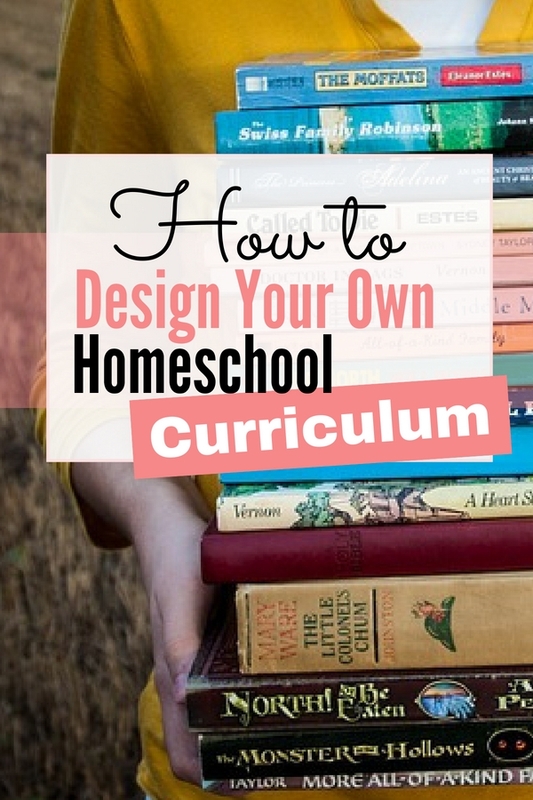 Start designing your homeschool curriculum by deciding what it is that you want your child to learn. Goals may be as diverse as “Learning addition tables” and “Increasing ability to follow directions.” Make a list of everything you want your child to accomplish by the end of the school year. Next, organize the goals into subject areas. A goal can have more than one subject area and that is fine! For history, for example, you could decide on a time period to research. Another alternative is to find out what is studied in that grade in the local school district, or in a published curriculum I’ve wanted to use. Your own family’s strengths, needs, and circumstances will determine how you will teach each subject. 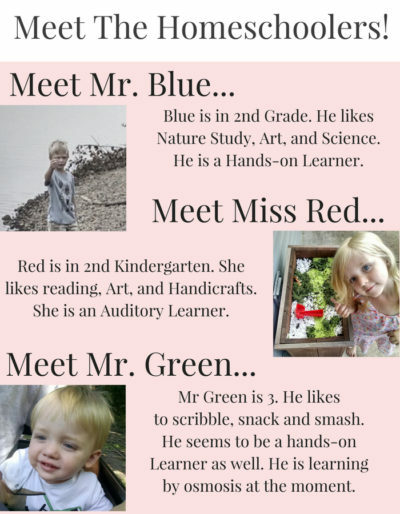 Does your child enjoy worksheets? There are many websites which offer printable worksheets, some of which can be printed for free. Is your child enthralled with stories? Find biographies written for their age group. Does your family enjoy traveling? Plan field trips and vacations to places that are related to what you are learning in school. Is your child hands-on? Conduct experiments, draw maps, make costumes and put on a play, or cook ethnic foods. You can use an encyclopedia or textbook as a “spine,” and branch out from there. Susan Wise Bauer and Jessie Wise, authors of The Well-Trained Mind: A Guide to Classical Education at Home recommend this method. Simply read a chapter in the book, and then go to the library or bookstore and find books about the subject. If you like schedules, you can plan how long you will spend on each chapter. If you follow more of a “delight-directed” or “unschooling” philosophy, you might let your child’s interest level determine this. Alternatively, you can use a timeline for a base. Find out what happened during that time, and find books, internet sites, and local places like museums or historical sites which are connected to these events. I’ve found that typing in a category to sites such as Amazon, Christianbook.com, and Barnes and Noble yields a plethora of books on any given subject. You can buy them, or check with your local library to see if they are available for borrowing. One way to do this is to simply start on the next subject, and go through the same process. This yields a curriculum in which each subject stands on its own. Some subjects, however, work well when studied in tandem. History and Geography, for example, can be easily combined. If you are studying Ancient Egypt, you can study the Pharaohs and pyramids, and also find out about the desert, the Nile River, and plants and animals from that region. If you want to use a “unit study” approach, you can also intertwine science, art, music, language arts (reading books, writing reports, using spelling and vocabulary words from your reading, and copying passages), and even math (pyramids are geometric objects, after all!) If you are interested in unit studies and are not sure how to go about designing one, Valerie Bendt has written a book called How to Create Your Own Unit Study which will walk you through the process. Homeschooling is not really as new as it seems. Looking to our past can yield great insight into how to teach our children at home. Charlotte Mason, a turn-of-the-century English educator, advocated letting the children learn from “living books,” rather than fact-only textbooks. Many books have been written about her ideas, including For the Children’s Sake by Susan Schaeffer Macaulay and Charlotte Mason Companion by Karen Andreola. Another well-respected educator is Ruth Beechick. Her books The Three R’s and You Can Teach Your Child Successfully can be used to develop a full curriculum for grades Kindergarten through 8.